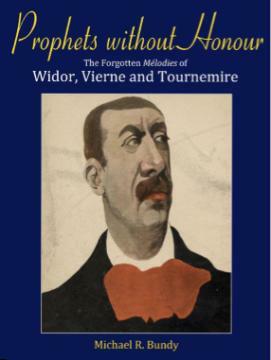 The result of many years' fascinating labour: This is an attempt to give Charles-Marie Widor (1843-1937) and his two pupils, Louis Vierne (1870-1937) and Charles Tournemire (1870-1939), the credit that they deserve for firmly establishing the French mélodie as a serious genre to rival that of the German Lied. In many ways, as they did not follow the Faure/Debussy/Ravel mould, they were in a véritable cul-de sac, and yet they each produced wonderful examples of the mélodie and the symphonic song...as it might have developed. Although sticking firmly to the principle that words and harmony were more important than any tune per se, how were they to know that the French melodic world was to develop along different lines? This book describes each mélodie composed by these three extraordinarily underrated composers, and puts each artist into his historical context. 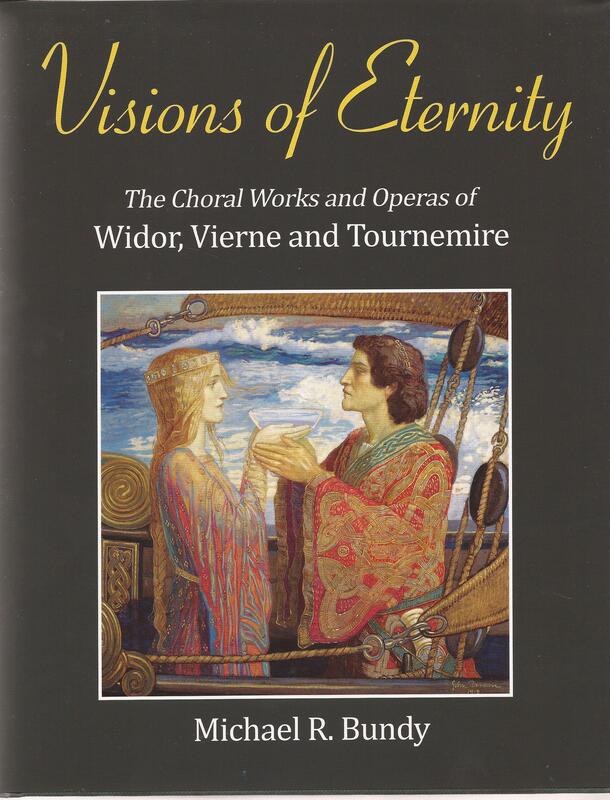 There are copious musical examples; also included are a discography, extensive bibliography and several appendices, one of which is dedicated to the number and variety of the changes that Widor (an inveterate tinkerer) made to just two of his early songs. French Mélodie as an independent and quite uniquely individual art-form." Why should organists strive to compose operas? – Motets, Masses and other choral works, yes; but operas? Widor wrote three such works: Mâtre Ambros, Les Pêcheurs de St. Jean and Nerto, and also several choral works in addition to his Messe – originally conceived for the two organs St. Sulpice, its resident choral ensemble and the vast forces (200+ voices) of the seminary attached to that magnficent church, where the composer Charles Gounod had once been an oblate. These choral works – the peculiar Chant Séculaire and the Symphonie Antique – are extraordinary in their differing ways: The first for soprano solo, chorus and orchestra was probably performed only the once, whereas the latter, for Soprano and Alto soli, chorus a large orchestra – a true choral symphony – was performed many times, and has even been recorded. It is extraordinary to think that the blind Louis Vierne should want to compose for the stage, but he had two concepts some twenty years apart: François Villon (c.1912) for which the general dramatic scheme survives and, later, Antigone (c.1931) which never got beyond the planning stage: Late in life, he did announce that he was to compose an opera on the subject of Tristan: Even though this was his nom de guerre it, unsurprisingly, did not come to fruition. However, in addition to his popular Messe, he did leave a substantial oratorio – or drame lyrique as he termed it – Praxinoë, which was performed three times in 1905 (twice in Rouen and subsequently in Paris) and very favourably received. Charles Tournemire is the strangest fish in this aesthetic pond. Although bound by his faith to the tribune of Ste-Clothilde (sic) and with a fervent conviction that everything that he thought, played and wrote should be God-centred, there was an urge to compose for that most decadent of art forms – the Opera! He produced four such works: The early Nittetis, and subsequently Les Dieux Sont Morts – then, after a gap of many years, La Légende de Tristan (using the Breton version of the tale) and Il Poverello di Assisi – an Five Act retelling of the life of St. Francis, and almost the last thing that he composed. An early oratorio Le Sang de Sirène (one of his few works to be both published and performed...and it won him a prize!) was followed many years later by the VIième Symphonie (a choral symphony), La Queste du Saint Graal, La Douloureuse Passion du Xrist and the Apocalypse de St. Jean. In addition there is the Trilogie – three short oratorios...or are they operas (they contain stage directions!) – covering Faust, Don Quichotte and St. François d’Assise again. There are other, smaller, works of interest under investigation. The fascination is by the way in which Tournemire, born in Bordeaux, espoused all things Breton – language, culture and folklore....and the Grail – even buying a (third) home on the remote island of Ouessant, many miles off the North-West tip of Northern France. Both books are reasonable priced (£24.99 and £29.99 respectively) published as hardback and are available directly from the author or through Troubador and all good retailers.